Blogging is all (mostly?) about traditions, isn’t it? I’m talking about topics, things or experiences we like to write about. If you blog for a while, you have a number of posts which can be called traditional, as they cover the same subject – yearly, monthly, weekly, daily? (ouch!). For sure it works this way for me – there is a number of experiences I like to talk about on the regular basis – as those experiences take place. One of such experiences is the Chowdafest, a fall event dedicated to the humble (or not) soup, generally known as Chowder – if you want a bit of an education on what the chowder is, I can offer you the post I wrote after attending my first Chowdafest back in 2015, which provides a few details on the different types of chowders. The 2018 event took place at around the usual time (Sunday, September 30th), at the usual place – Sherwood Island State Park in Westport, Connecticut. Even the weather was the usual – sunny, bright and not too cold. However, the summer and early fall in New England saw an incredible amount of rain, so the grounds were unusually wet and people had to be careful walking around. As we entered, all visitors were given a ballot and a pencil, to mark down their favorites. The back side of the ballot had a map of the event, as in addition to all the competitors, there were lots of vendors (sponsors) offering other tasty treats, so one didn’t have to survive on the chowder alone. Cabot Creamery, Harney & Sons Tea, Ocean Spray, Stop & Shop, Polar Beverages, and many others were serving Mexican and Italian food, ice cream, juice, tea, coffee, sparkling water – you had a lot of fun food options beyond chowder. Same as last year, there were 5 categories were participants were competing for the title of “the best” – Classic New England Clam Chowder, Traditional Chowders (Manhattan/Rhode Island’s), Creative Chowder, Soup/Bisque, and Vegetarian. The participating restaurants this year represented states of Connecticut, Massachusetts, New Hampshire, New York, Rhode Island, Vermont, and Washington. For the 4 years that I’m attending the event, I’m happy with the overall quality and variety. It is not boring and once I get out of the food coma at the end of the event, I’m instantly happy to think about next year’s Chowdafest. The overall level of booth decorations in 2018 was less than in the previous years. Many places would just have a serving station and maybe a recipe. It takes away a bit from the “Fest[ival]” experience. Hopefully, in 2019, we can go back to more festive booth settings. A few vendors run out of chowder/soup in the middle of the day. I saw one just pack up and leave, and another one saying “more soup is coming in 30 minutes” – not good for visitors, and really a bad plan for competitors – you can’t win by serving only half of the visitors. I’m happy that at least in one category – Vegetarian – my top choice matched the people’s choice. Truffle Mushroom Bisque from Old Post Tavern in Fairfield, CT was delicious, and it won the category. I’m also happy that Drunkin Pumpkin Seafood Chowder from Our House Bistro in Winooski VT took the top spot in Creative Chowder category – their soups are always good, the presentation is excellent with lots of “self-serve” condiments, and the booth is always a pleasure to look at. For the first time, I saw the competition trophies. At first, I didn’t understand the collection of the old ship memorabilia in a middle of the field – until the later when I saw the plaques and realized that those were actually the trophies. Believe it or not, but in the Chowdafest 2018, my favorite soup was not really a chowder at all – it was a Curried Chicken Chowder from Hale & Hearty from Boston, MA – the only soup I gave the top 10.5 rating. Here is the list of winners in the 5 categories we mentioned before (Classic New England Clam Chowder, Traditional Chowders (Manhattan/Rhode Island’s), Creative Chowder, Soup/Bisque, Vegetarian). For the more detailed list, which includes 2nd and 3rd place winners, please use this link. You can already mark your calendars for Sunday, October 6th, 2019 – the 12th annual Chowdafest competition. Before we part, you might want to check out Chowdafest’s sister event – the Great Mac & Chili Challenge, taking place this Sunday, November 4th at 11 AM at the same Sherwood Island State Park in Westport, CT. The weather should be great! Cheers! I have a lot of interesting tidbits for you, so let’s get going. First and foremost, the Chowdafest. Now in its 11th year, one of my all-time favorite fun culinary events keep on going strong. Same as the last year, 40 culinary teams (restaurants, catering, etc) will compete in 5 categories (Classic New England Clam Chowder, Traditional Chowders (Manhattan/Rhode Island’s), Creative Chowder, Soup/Bisque, and Vegetarian). Even the lobster chowder is expected to be present this year. As usual, the guests will be sampling and judging. To put things in perspective, 40 of 1 oz samples make it for 40 oz of chowder – that is 2.5 lb of chowder combined! I don’t know how you see it, but this is a lot of chowder! Oh well, if you are anywhere within a few hours drive, the event is well worth it, so see you there! Next one might be an old news for many (for sure my kids are already all over it) – the famed Dunkin’ Donuts is going to lose the donuts! Not to worry, only in its name. As it seems to be popular nowadays, the iconic chain which had been around since 1948, is going to change its name to just Dunkin’ – as my kids said, this is how everybody calls it anyway, so no big deal. I hope this renaming will be more successful compared to the recent failure of the IHOP->IHOB->IHOP attempt – and it most likely will. You can find more details about renaming at the Dunkin’s (can we already call them like that?) website. The next subject I want to touch on is something I would typically include into my April 1st posts – but today is not April 1st, so this is actually not a joke and not a prank. It seems that in only a couple of years, anyone who has a spare $10M or so will be able to book their hotel room in … yes, space. It is obvious that such a unique achievement have to be properly celebrated – and what else says “celebration” if not a glass of Champagne? Challenge is that it is hard to pour a glass of revered bubbly in space – but have no fear, Champagne house of Mumm set out to solve the problems by teaming up with the designer Octave de Gaulle. The problem will be solved by creating a special two-chamber bottle which will create a foam out of Champagne, which will then return to its traditional bubbly state directly in the consumer’s mouth. For more details, please see the original article here (thanks to my friend Emil for bringing this to my attention). Now, let’s talk about numbers – can you not like talking about numbers? When we hear numbers, we think we are in the know – if we can measure something, we are now in control, right? Okay, these are obviously wine-related numbers (you didn’t expect me to talk about Prius production here, didn’t you?) – and they relate to the wine consumption in different states in the USA. Well, not even wine – the alcohol consumption overall. VinePair just published a ranking of all 50 states in terms of the alcohol consumption per capita. Want to guess which state leads the pack? I will give you a moment to ponder at it. Ready? If you said New Hampshire, you won! Wait, I don’t have any prizes here. Well, pat yourself on the back, will you? New Hampshire is leading in terms of alcohol consumption in the USA, with 4.76 gallons per capita per year. Washington, DC is second, with 3.85, followed by Delaware at 3.72. At the bottom of the table is state of Utah (I’m sure we could predict that), with 1.34 gallons per capita. When it comes to numbers, I always remember the old adage of “there are lies, damn lies, and statistics” – I have no idea where all these numbers came from – for example, if most of my wines come directly from the wineries through the mailing lists, is that accounted for? Anyway, the numbers are always fun, so for the full report, please follow this link. Last one for today, and it is not even really the news. 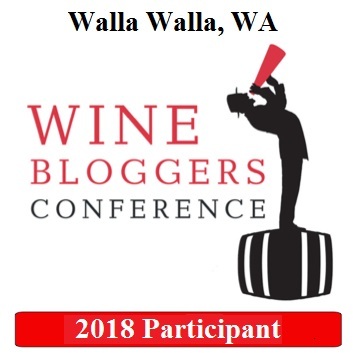 The Wine Bloggers Conference of 2018 (WBC18 for short) will start in a mere week, on October 4th, in Walla Walla, Washington. 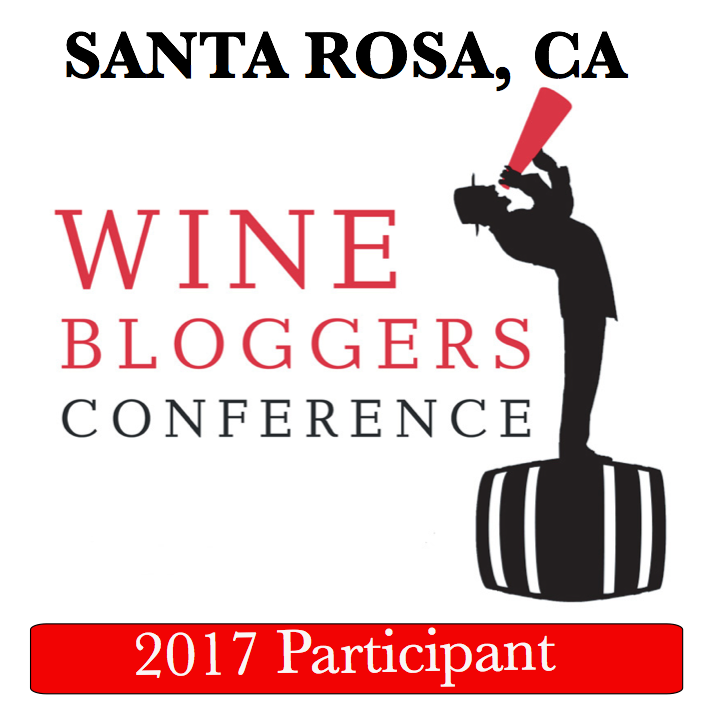 I will be attending WBC18 (I know a lot of bloggers can’t make it, unfortunately), so if you are reading this and will be attending the conference, please find me and say “hi”. The state of Washington makes amazing wines, and Walla Walla is on the forefront of producing those amazing wines, so I’m definitely looking forward to experiencing the wines and meeting all the wine people next week. And we are done here, my friends. The glass is empty, but the refill is on the way. Until the next time – cheers!